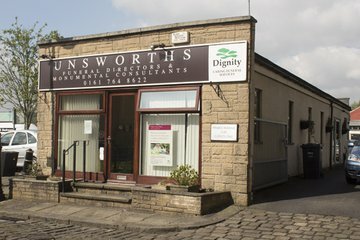 There are 7 funeral directors in Bury serving the local population. These are well distributed around the town and accessible to all who need to give their loved ones the burial or cremation of their choice. Bury benefits from many different religious faiths with nearly three-quarters of people being Christian. Consequently many of the funerals directors in Bury are able to assist people with a variety of different burial and funeral service requirements. The main Christian churches are Bury Parish Church, Radcliffe Road Baptist Church, and Bury Baptist Church. Notable Catholic churches are St Bernadette's and St Mary & St Philip Neri. Additionally, there's the Wat Sriratanarem Thai Temple, the Noor Ul Islam Mosque and a synagogue on Sunny Bank Road. Funerals directors in Bury will be able to coordinate every type of religious or secular service, offering invaluable support. Bury is served by just one crematorium, which is The East Lancashire Crematorium in Radcliffe. Additionally, there's the Bury Cemetery on St Peters Road in the town, which accepts new burials. 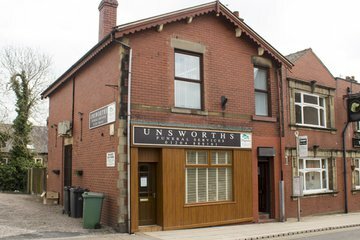 Search for local Bury funeral directors now to see funeral homes near you. You can filter search results by best rated, most reviewed or nearest to you. Click on a funeral director’s listing to see their profile page, where you can read independent customer reviews, search for recent obituaries, and learn more about the funeral services they can offer to you.